The sites and museums in the Alpes de Haute Provence offer a very recreational approach to the history of the Earth, the Universe, the stars and the time of Man, from Prehistoric times to nowadays. The museums are perfectly integrated into the landscape and closely linked to local life, houses of character, museums, eco-museums and other cultural locations reveal the history and the deep identity of the Haute-Provence that most of the curators have been careful to make accessible to the youngest by means of adapted tools and itineraries. Artists, writers and adventurers have all loved our local land, follow in their footsteps in the Centre Jean Giono in Manosque, in the Musée Alexandra David-Neel or the Musée Gassendi in Digne-les-Bains. And to understand how our landscapes were shaped, visit the Musée-Promenade in Digne-les-Bains or the Museums of the sites in the Natural Geology Reserve of Haute-Provence. 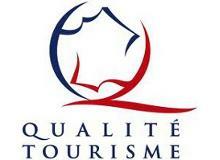 Some have obtained the Qualité Tourisme ™ mark, guarantee of hospitality and quality services. The Alpes de Haute-Provence has a unique historical and scientific heritage which shows its history and cultural identity. The Department has created and networked the exceptional cultural places on its territory with this Museums passport in order to enhance this wealth and offer it to potential visitors.